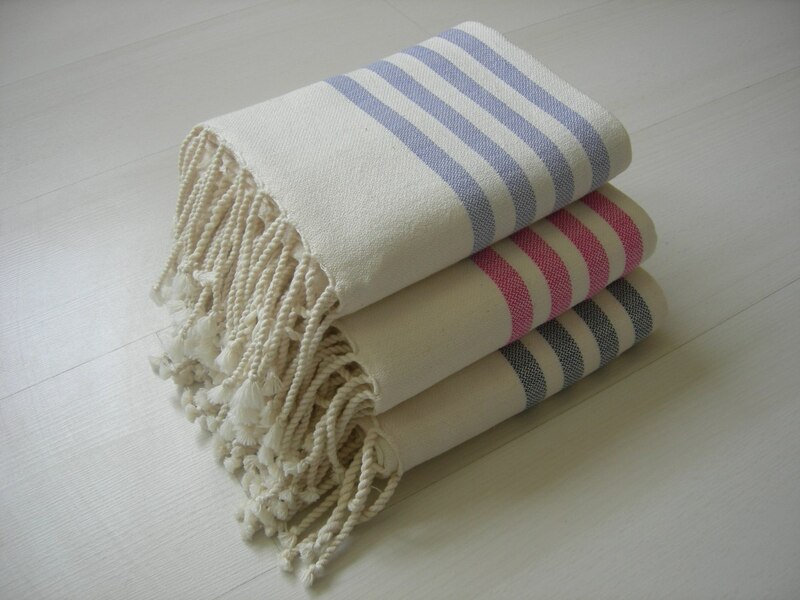 A peshtemal is a traditional Turkish towel used in Turkish baths. 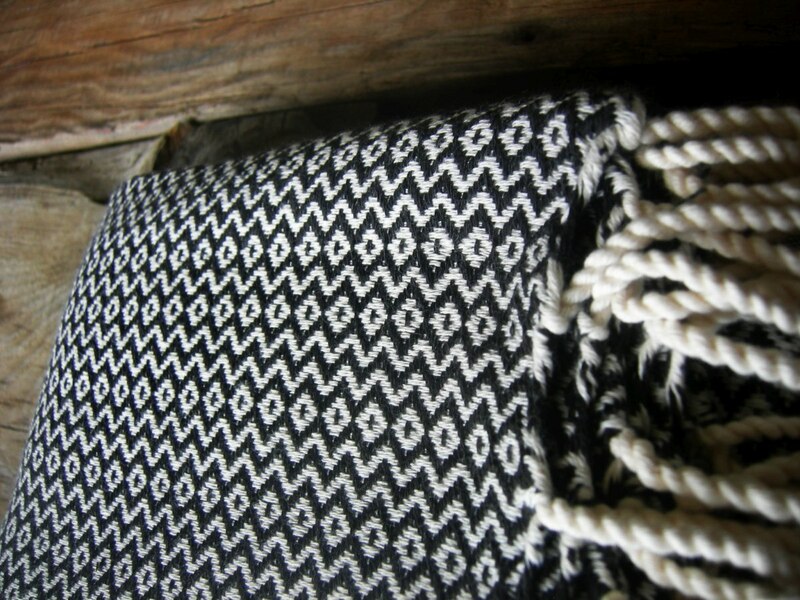 It is also used to indicate which region people are from and is a part of a deep cultural tradition. 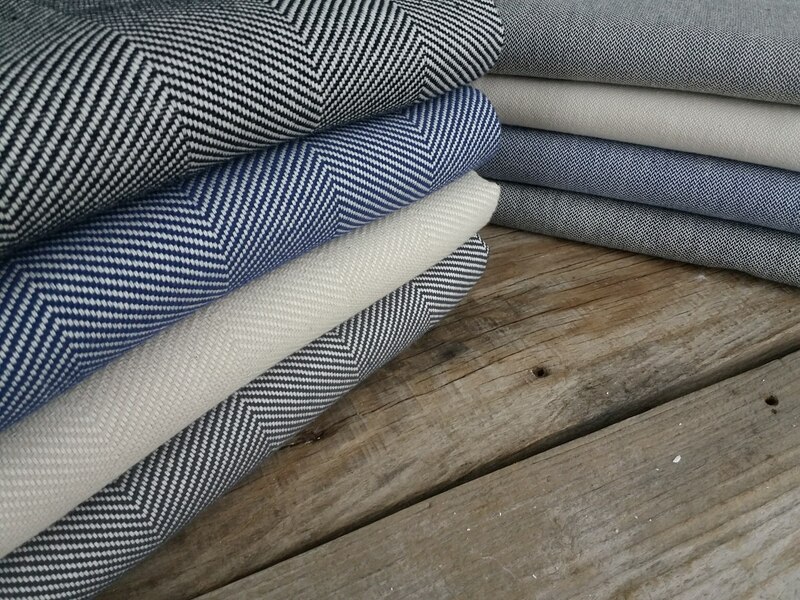 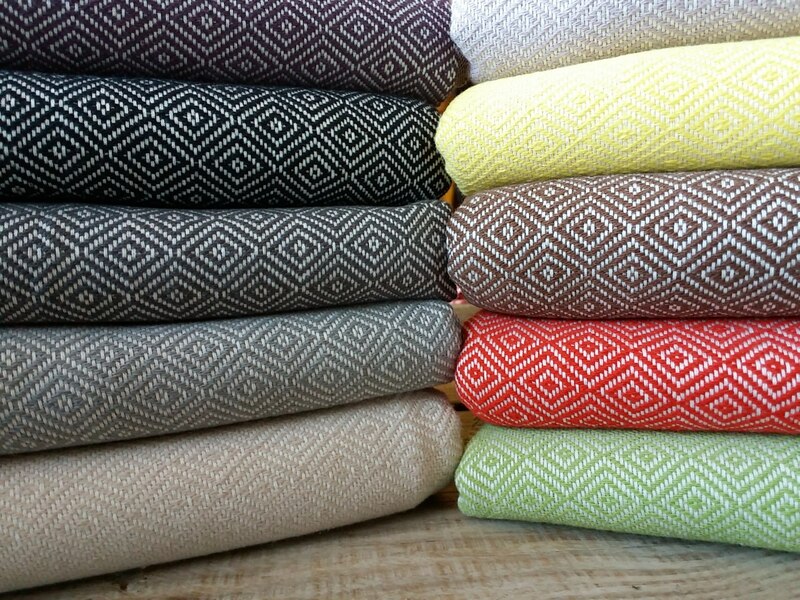 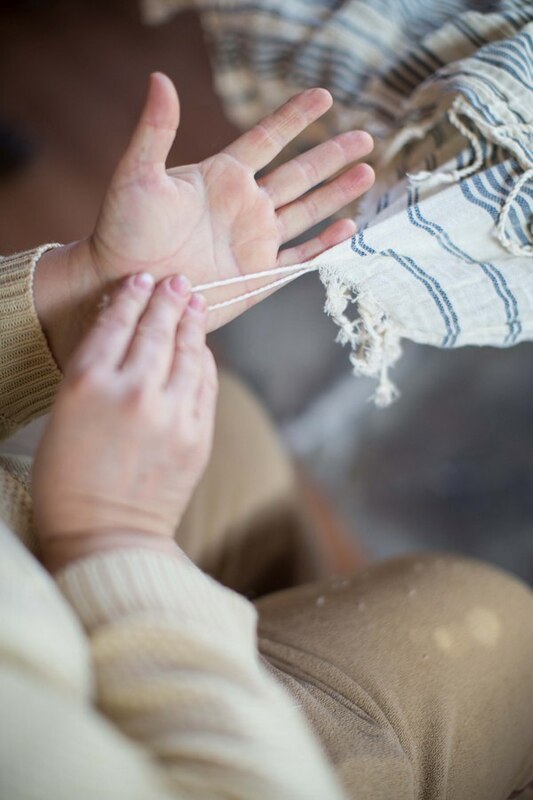 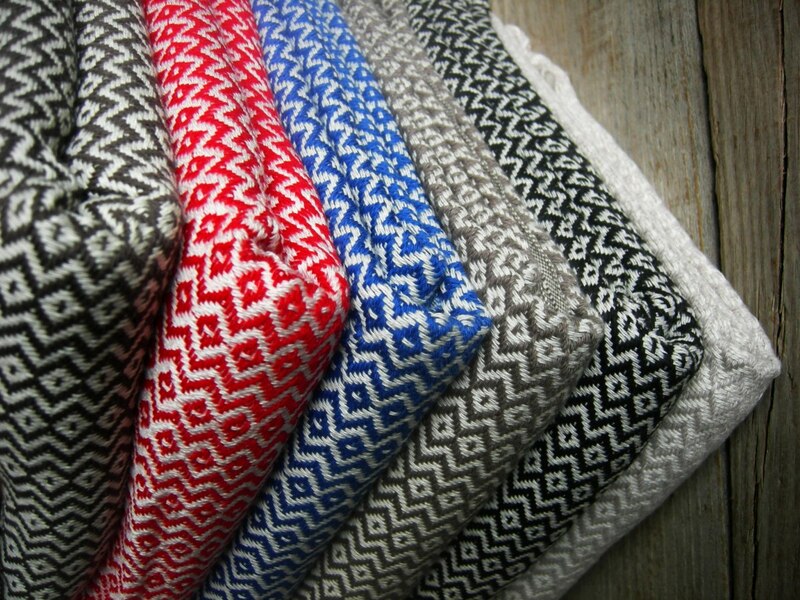 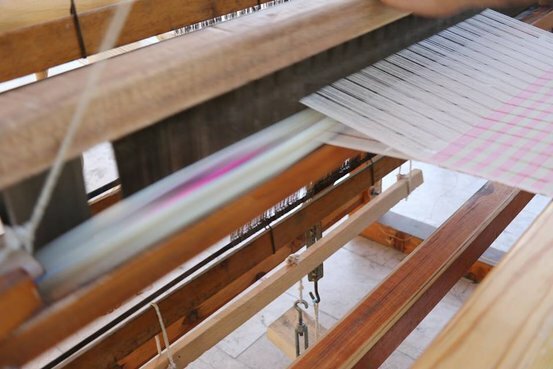 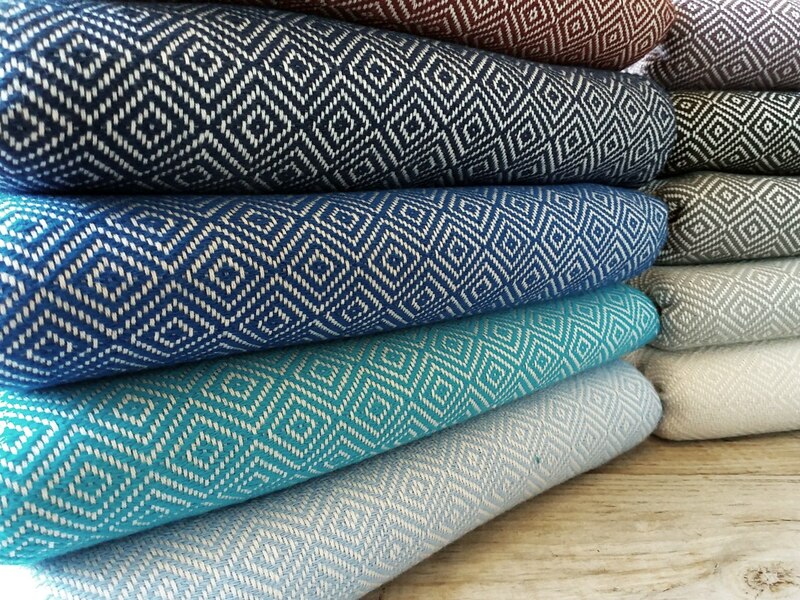 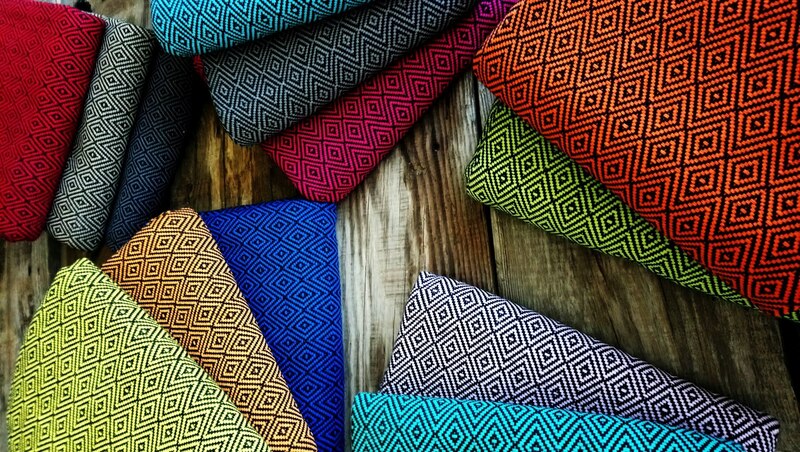 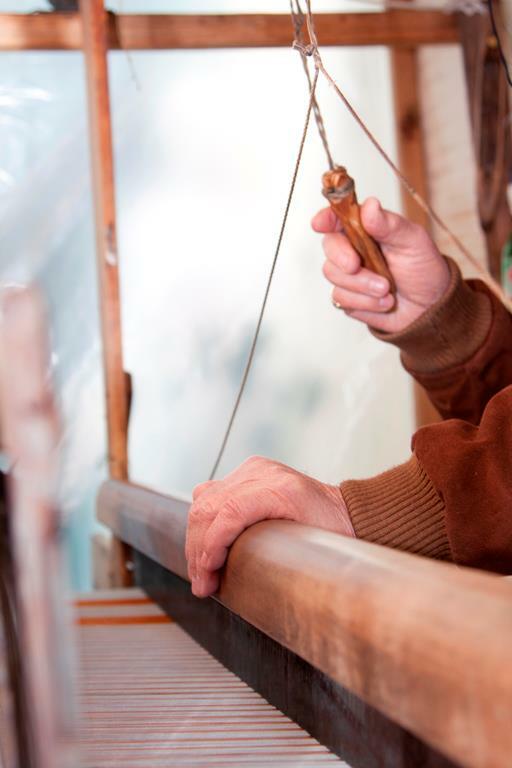 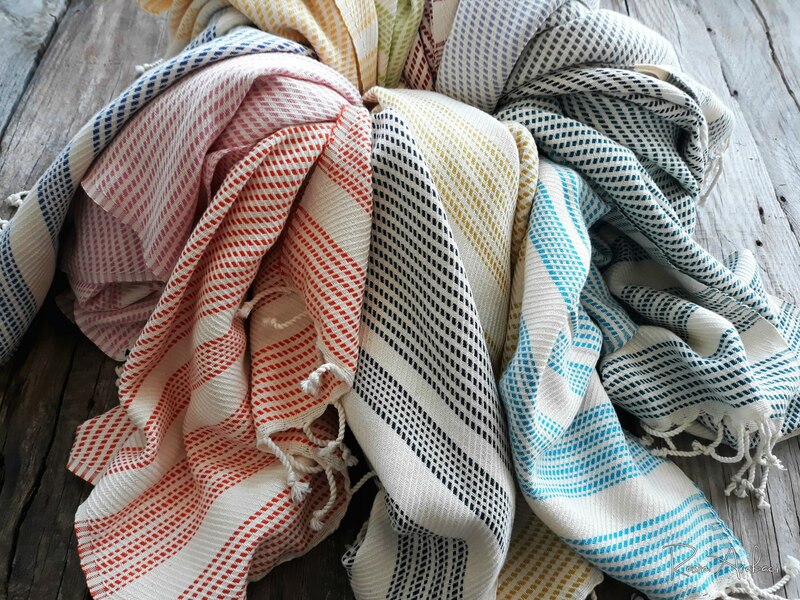 There are many kinds of peshtemal, with different styles and colors in different areas of Turkey. 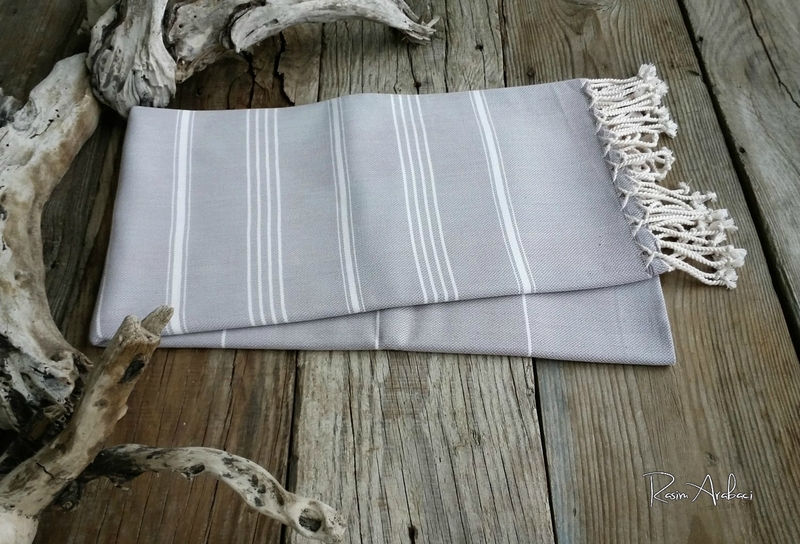 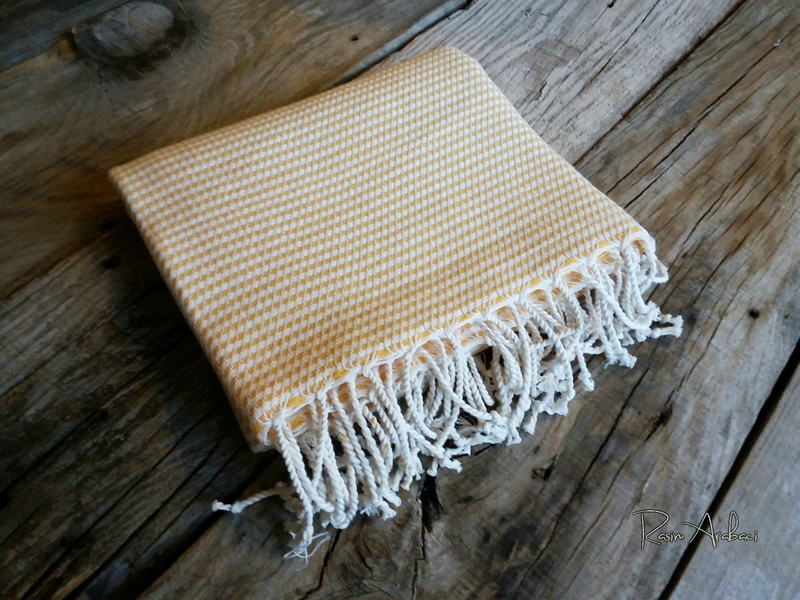 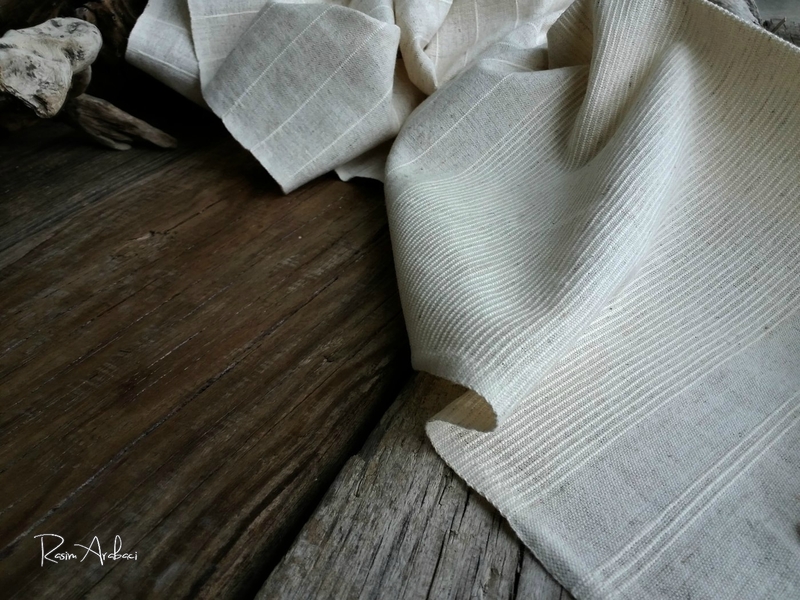 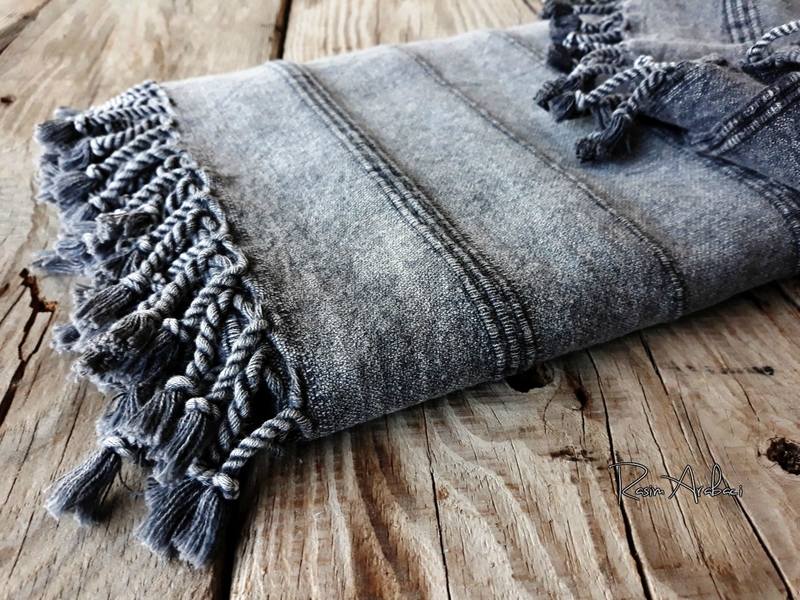 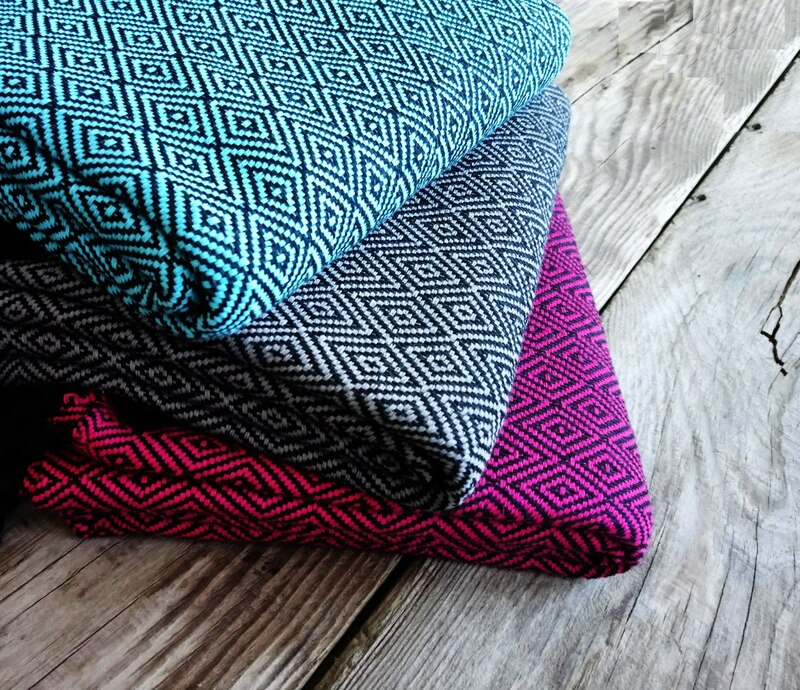 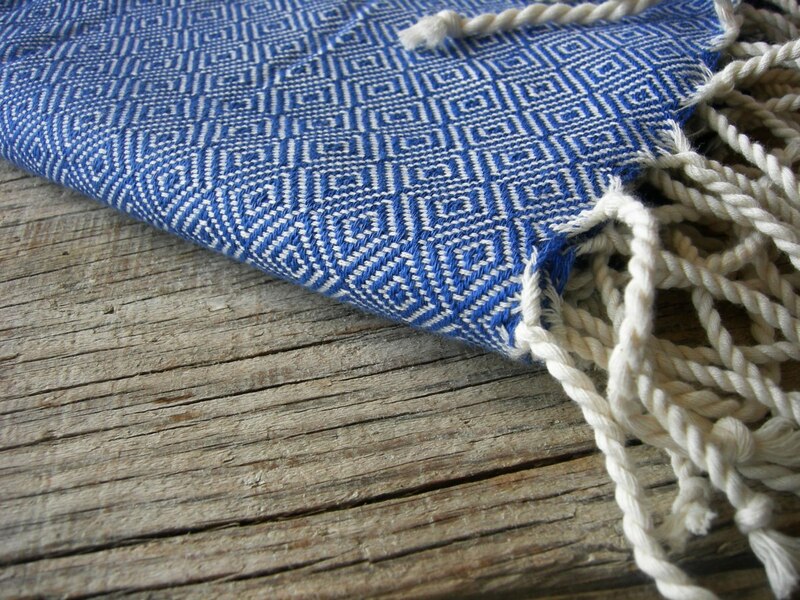 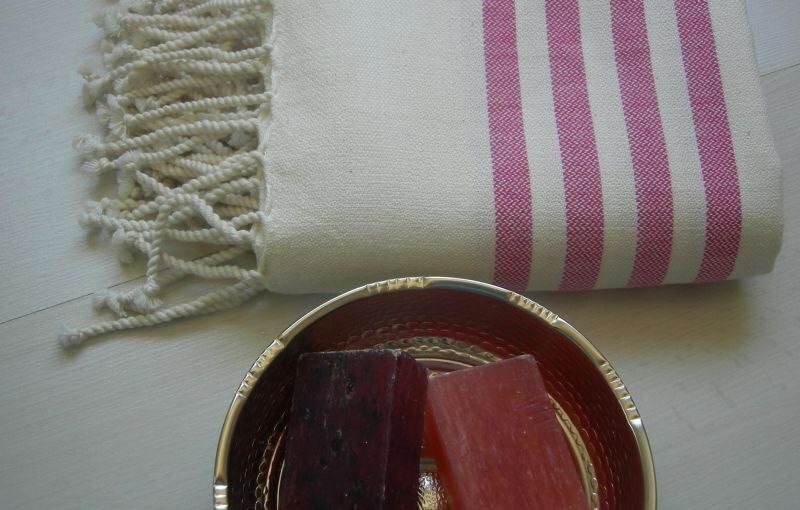 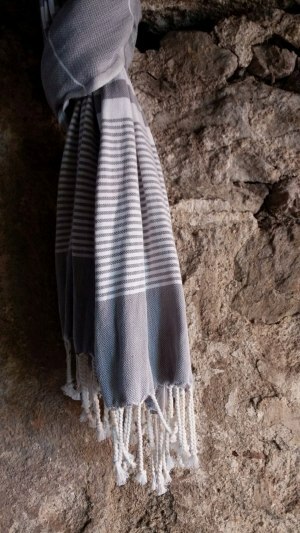 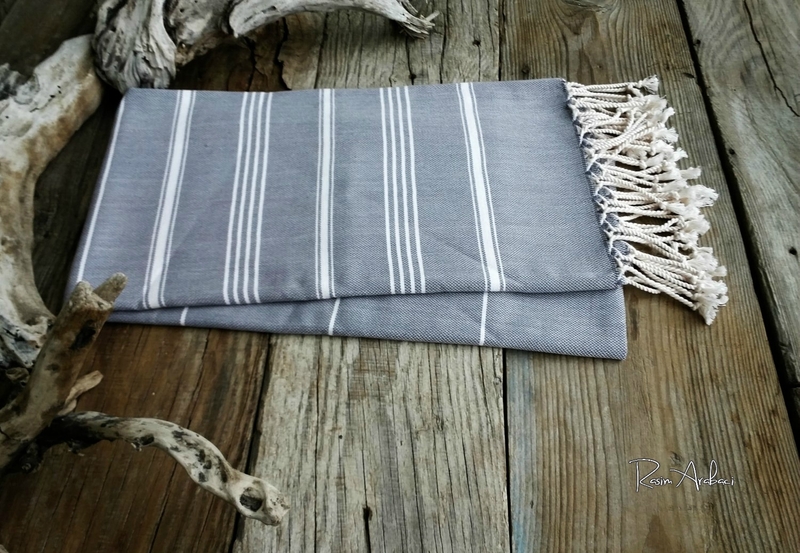 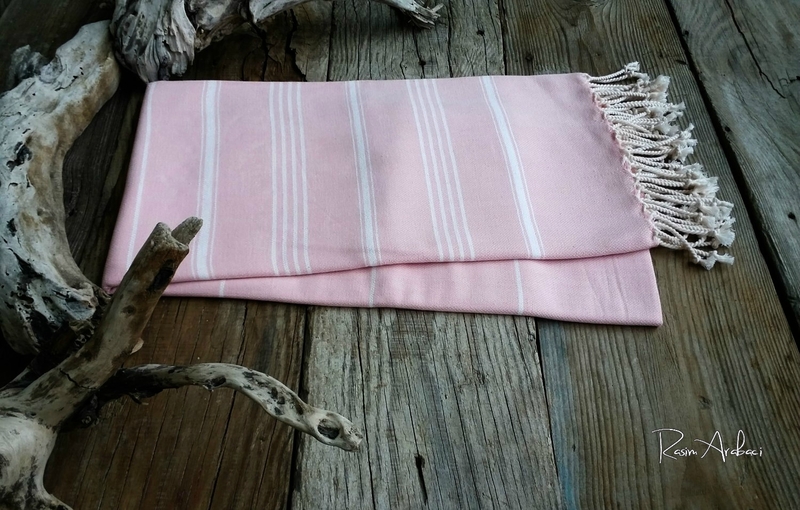 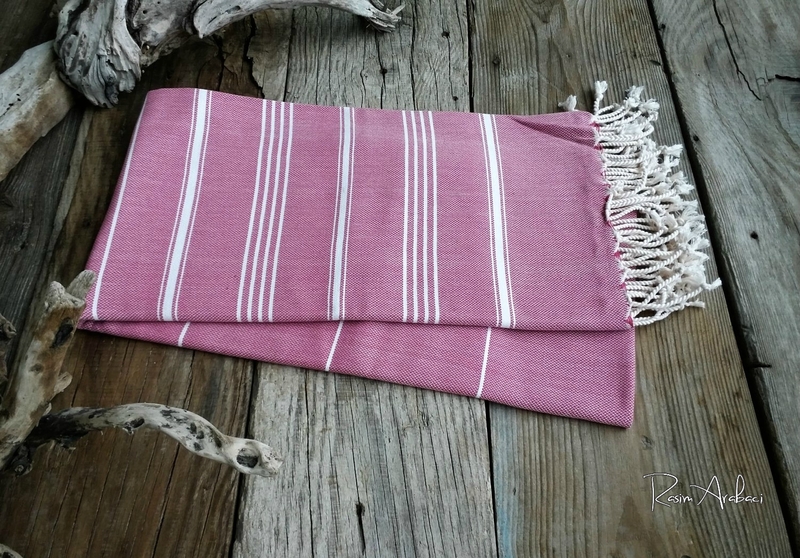 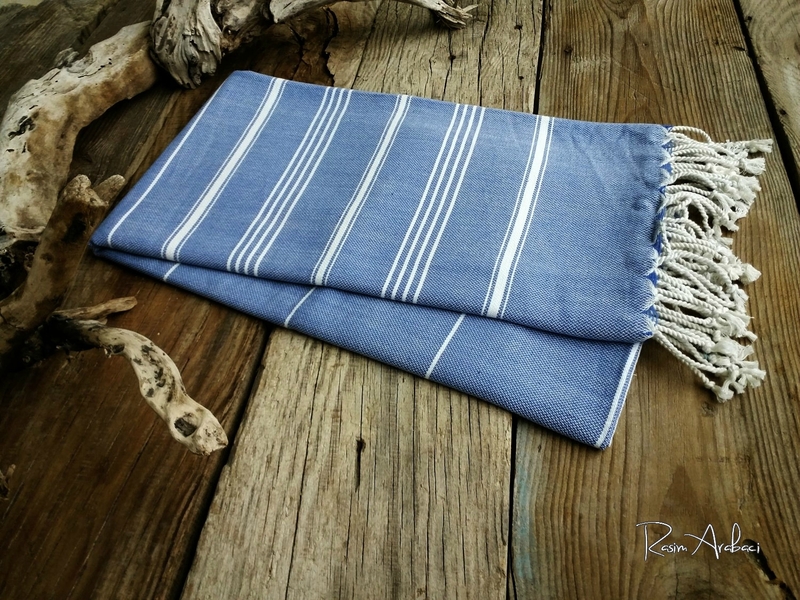 The peshtemal absorbs water as fast as a traditional towel, dries very quick. 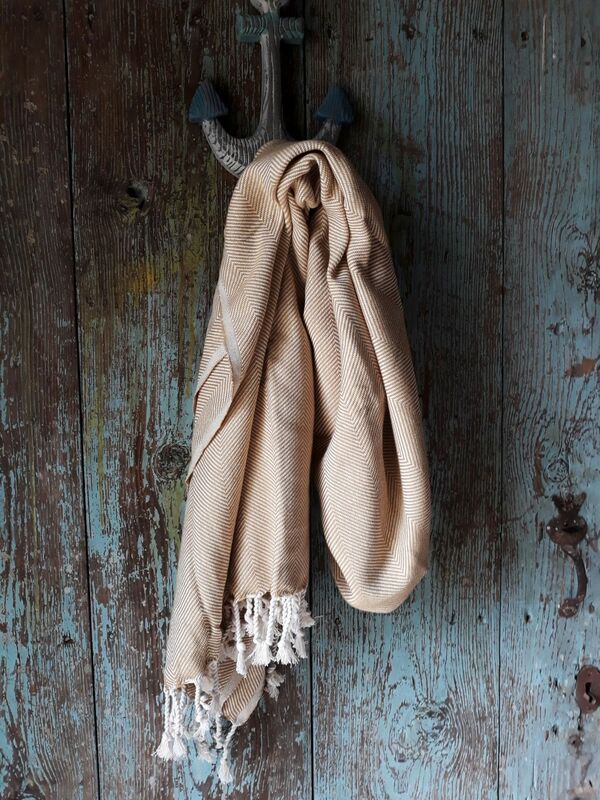 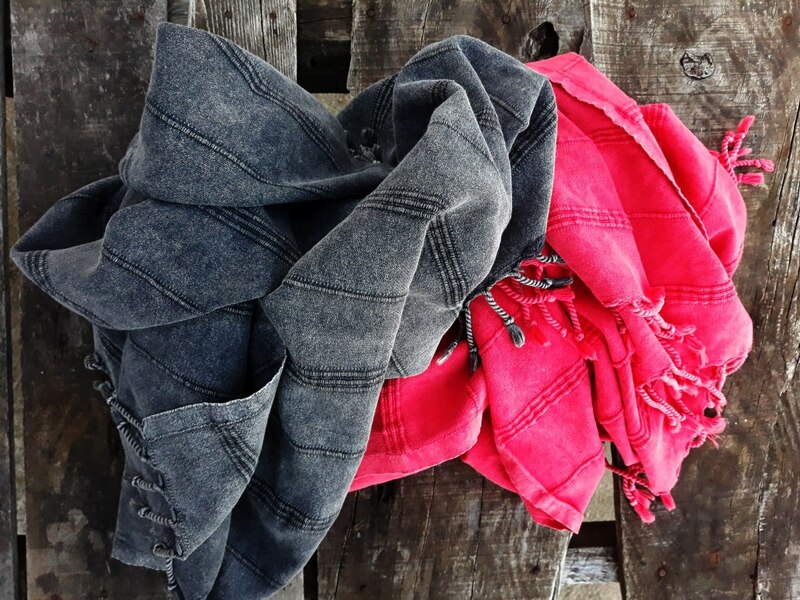 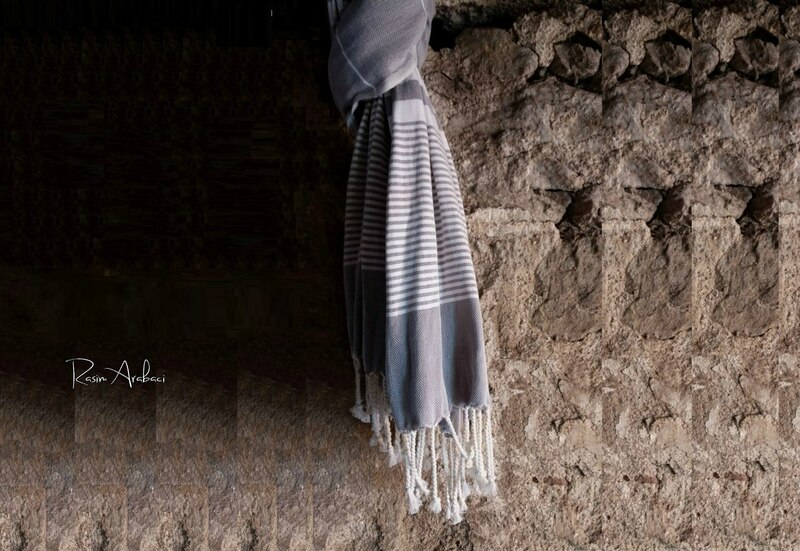 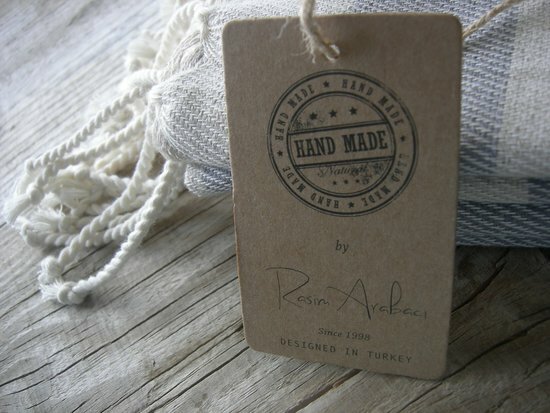 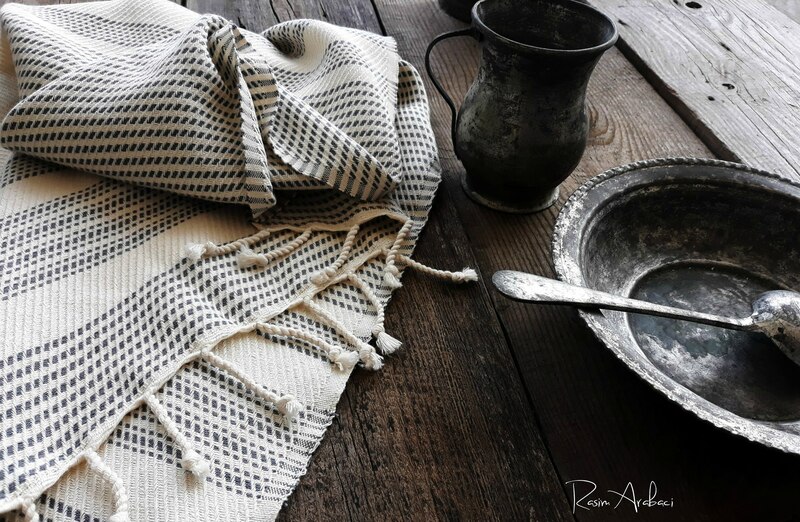 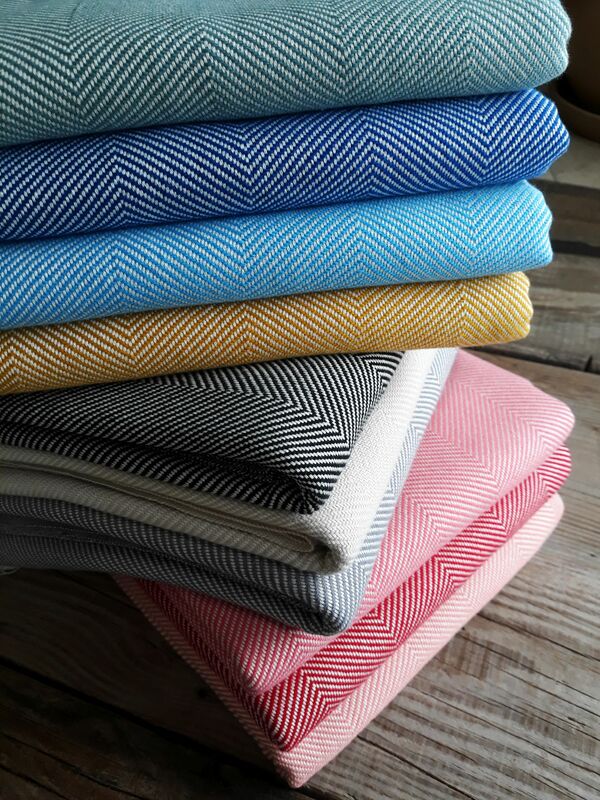 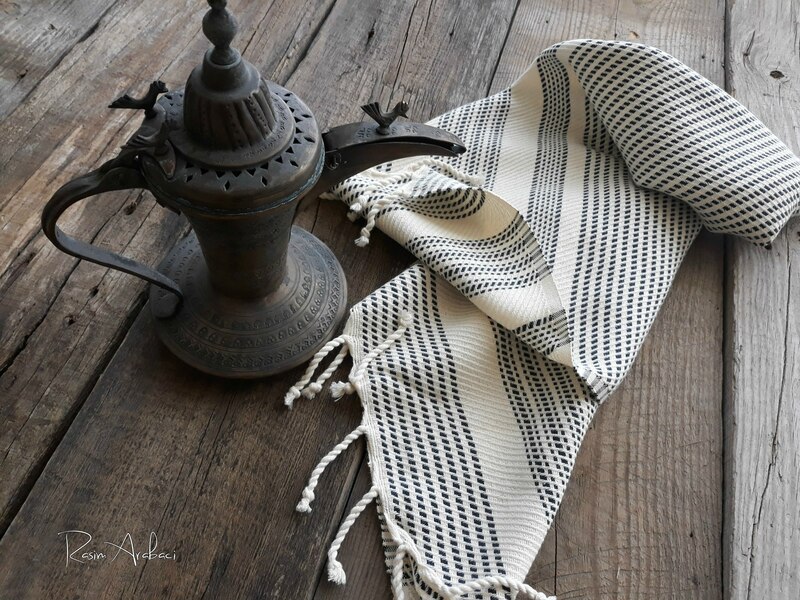 Our luxury Peshtemal Turkish towels are a unique blend of fashion and function. 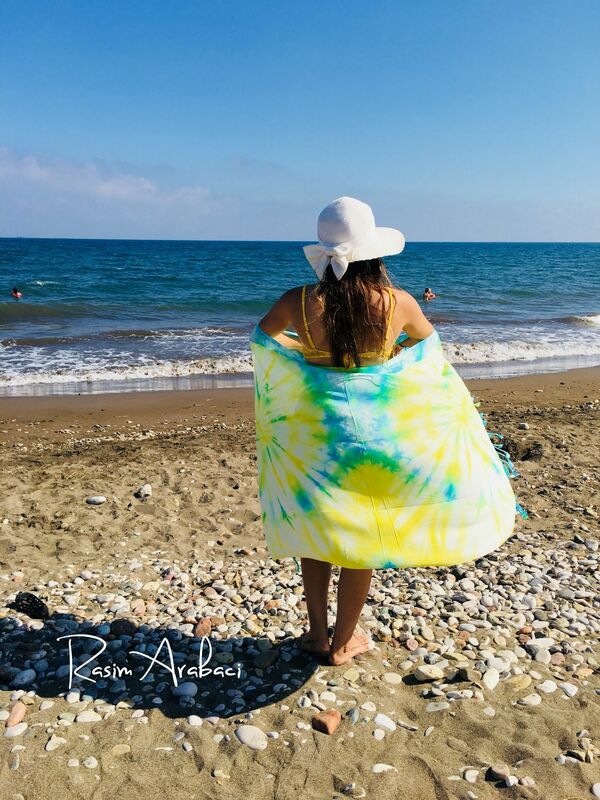 The colors and authentic designs on this spa-quality towel really pops and it is perfect for use as a bath towel, pool towel, beach throw or yoga / gym towel. 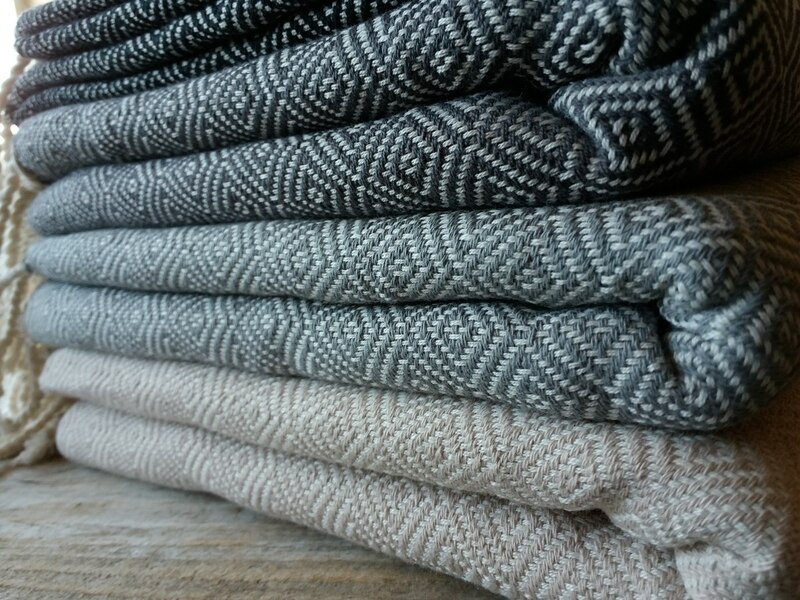 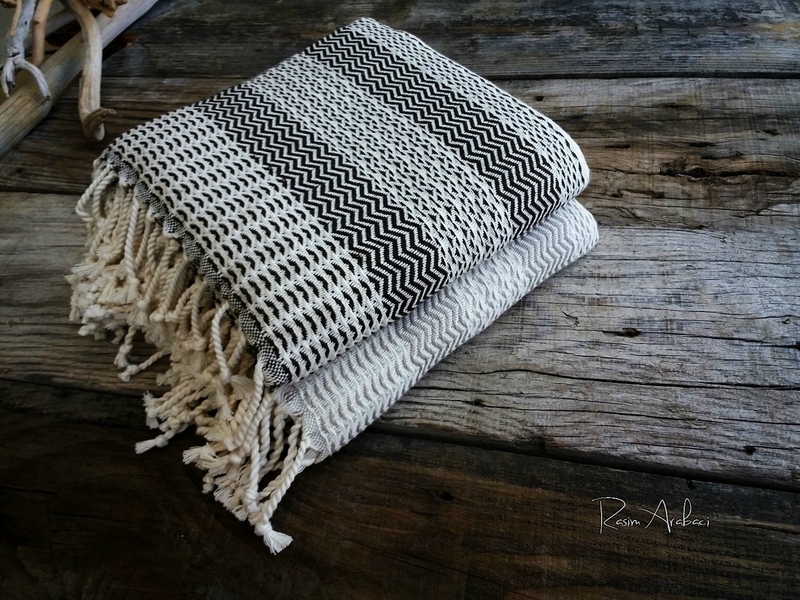 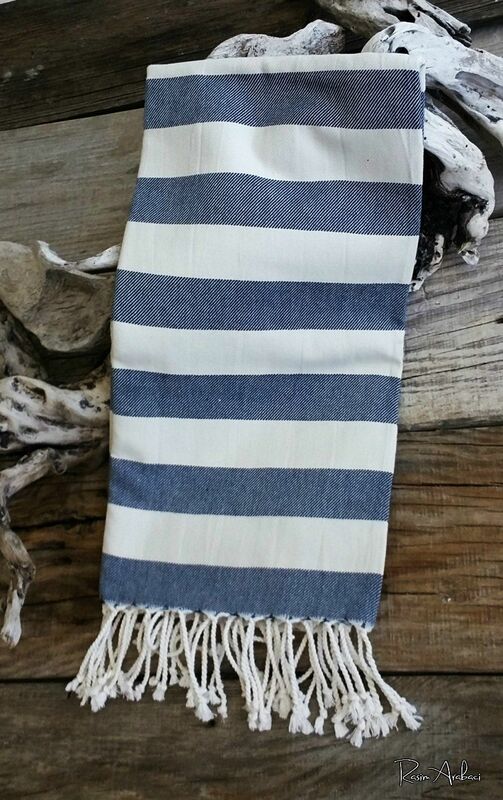 Oz Ra Turkish towels take up less space than traditional towels - your linen closet will looked neat and organized and it will help bring a comfort to your lifestyle. 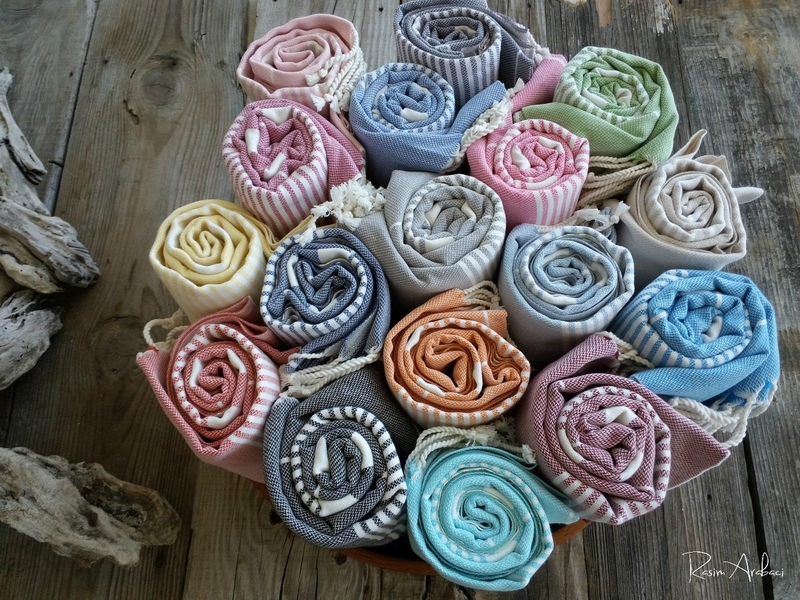 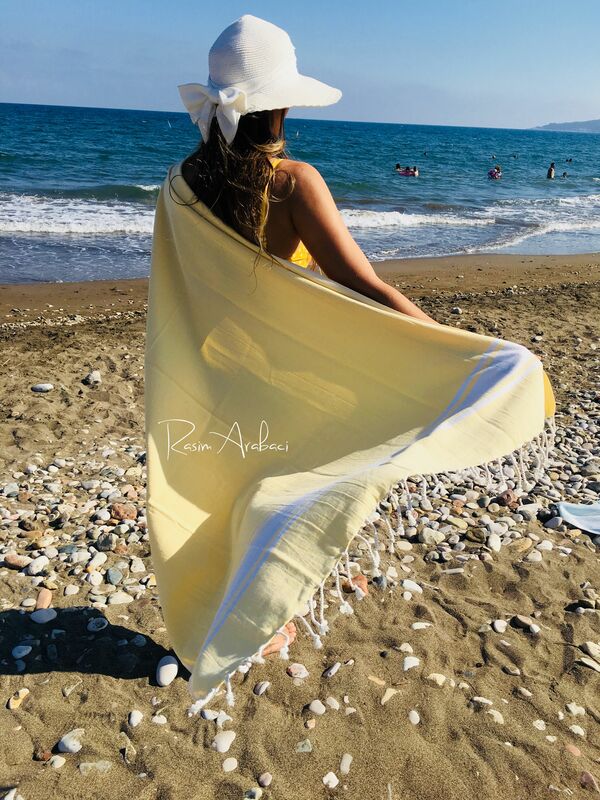 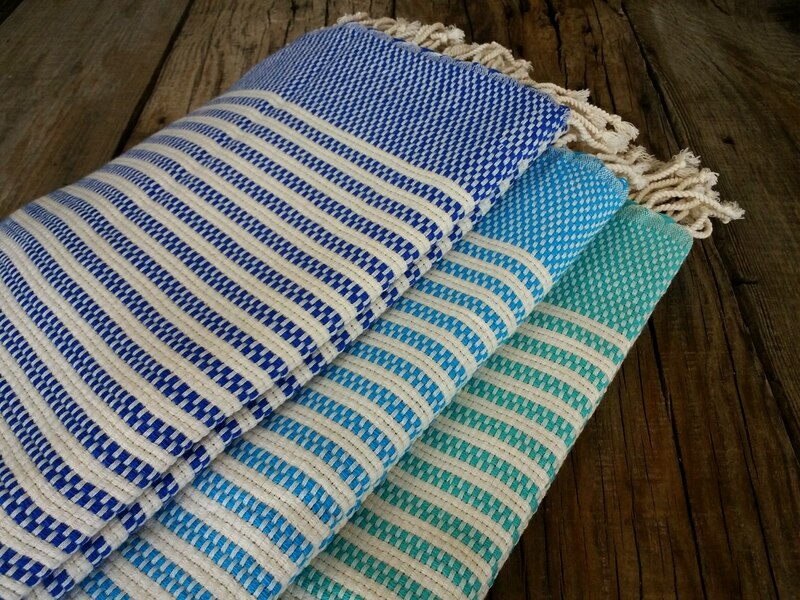 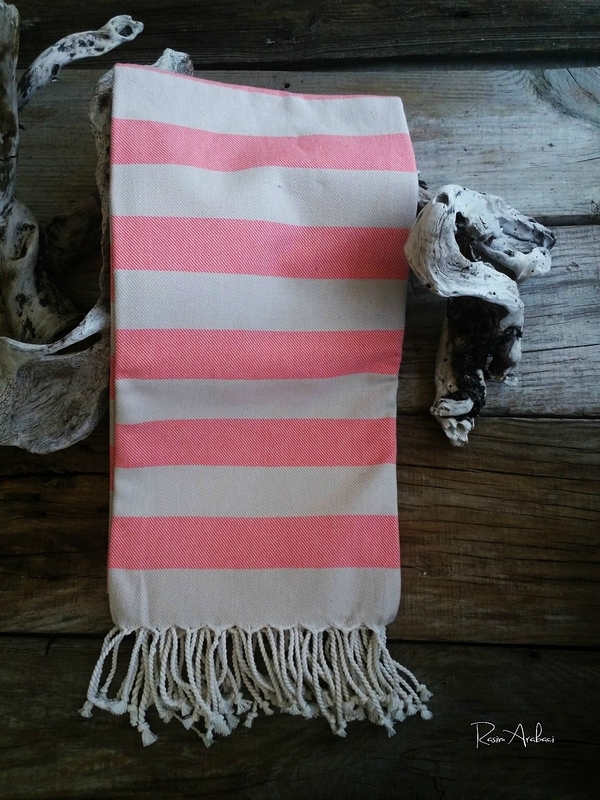 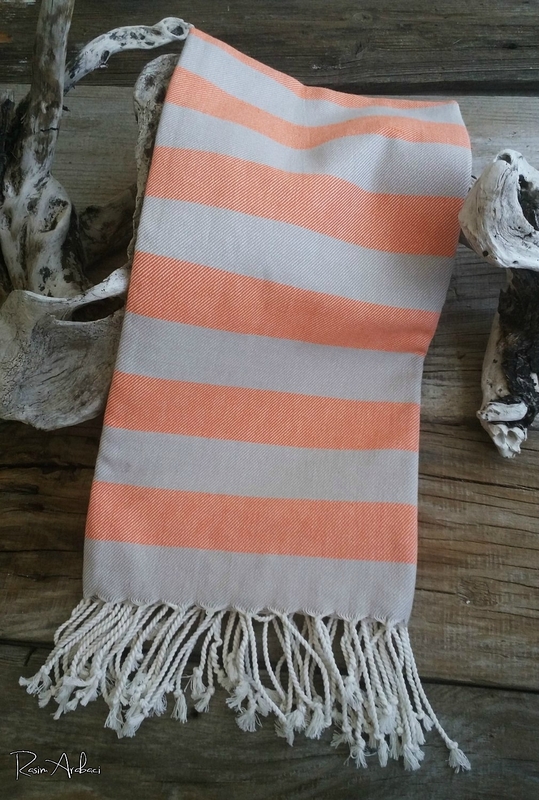 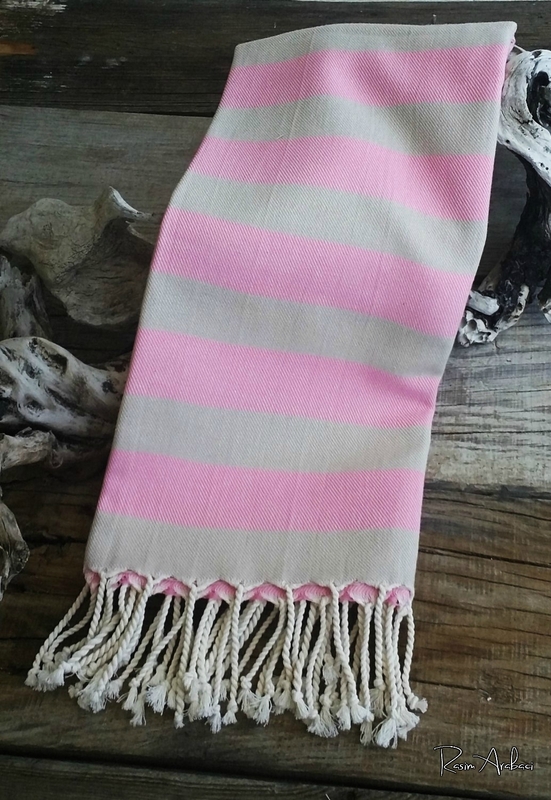 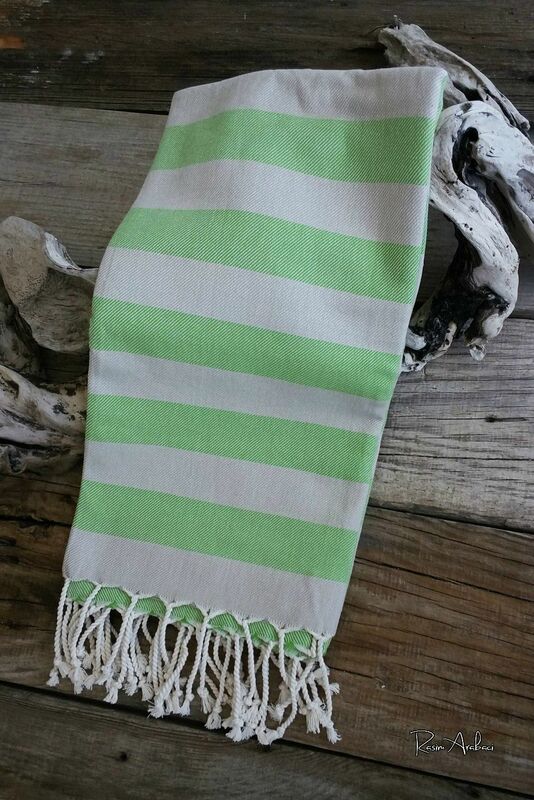 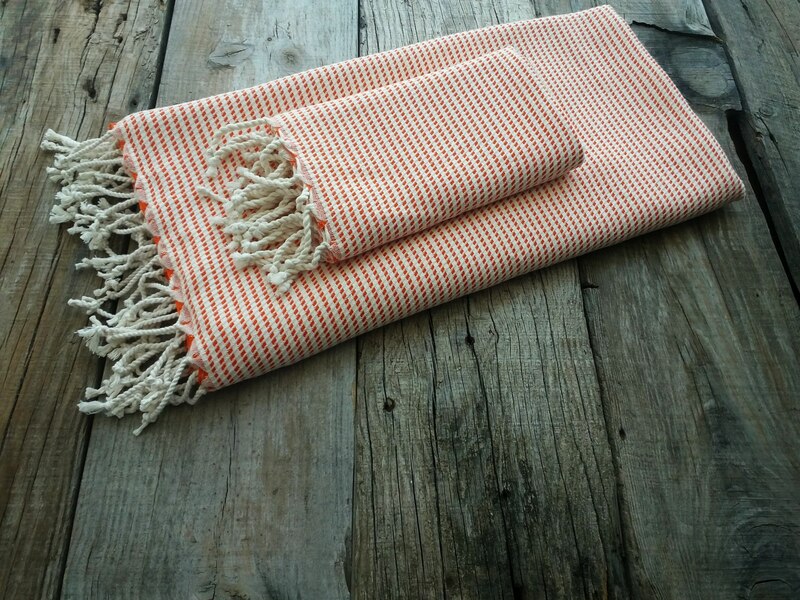 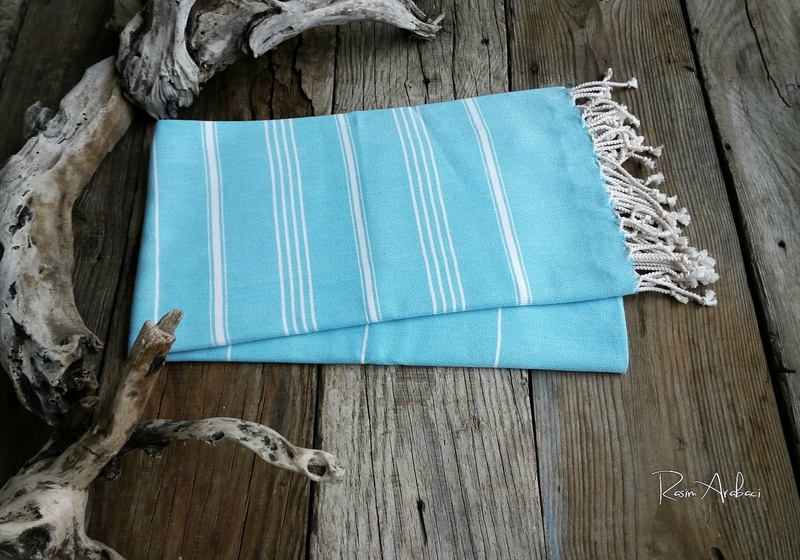 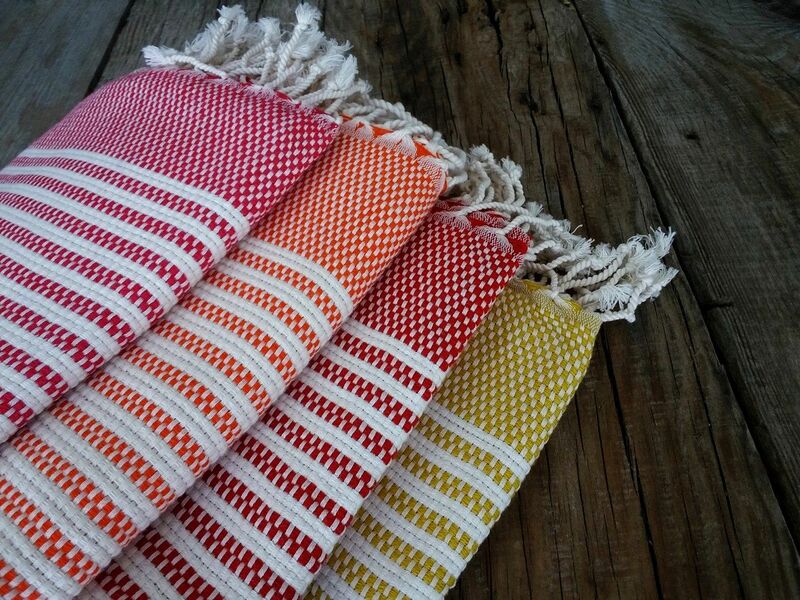 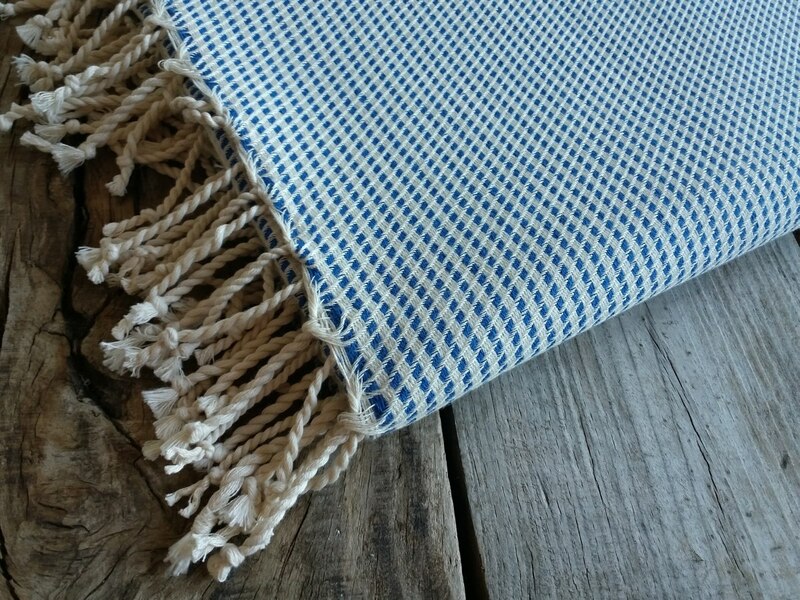 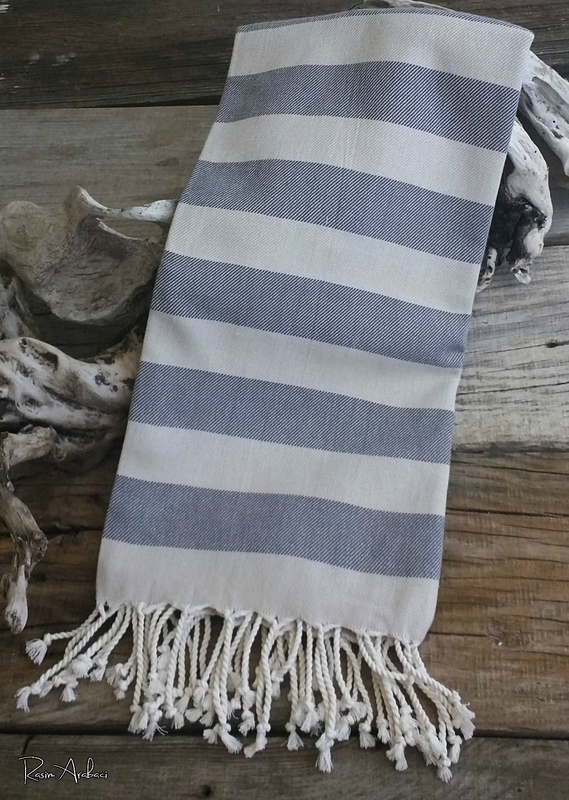 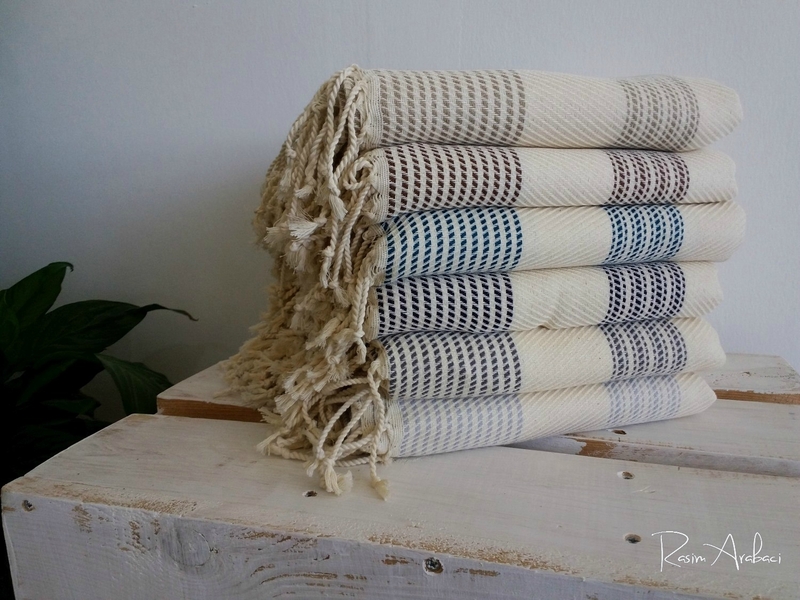 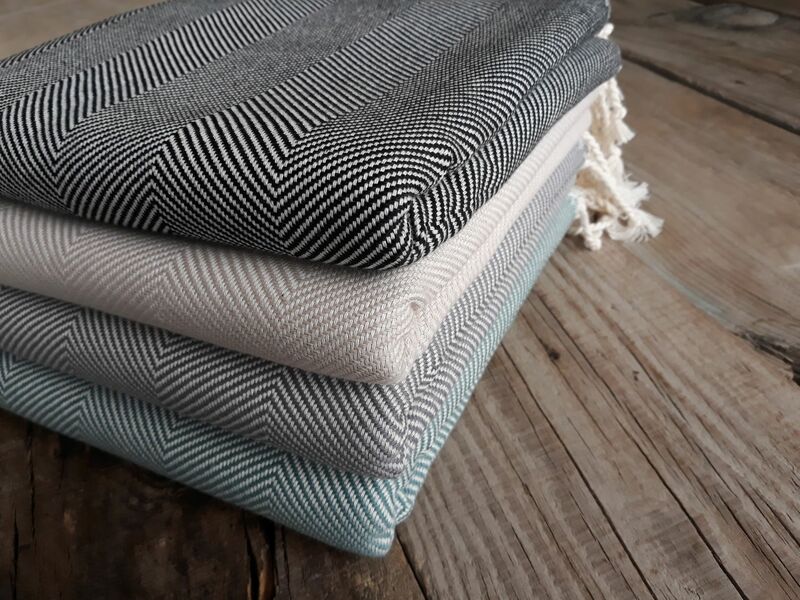 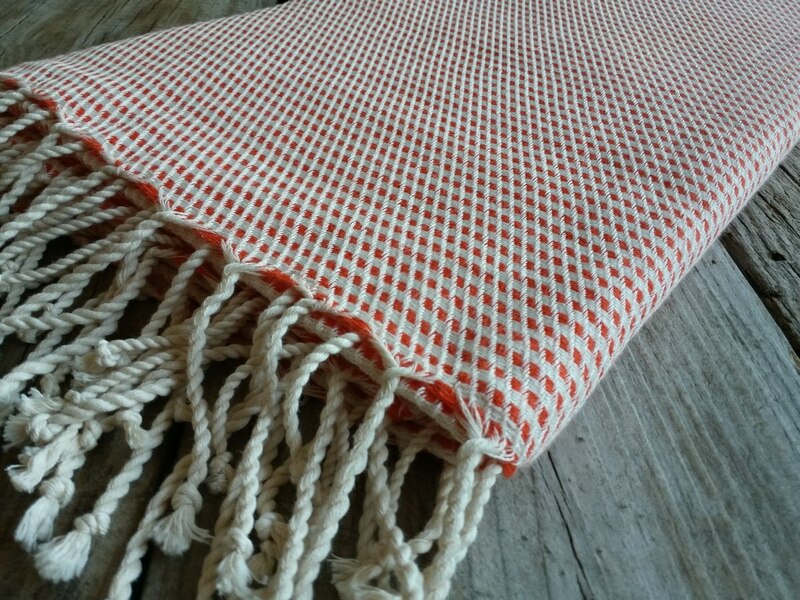 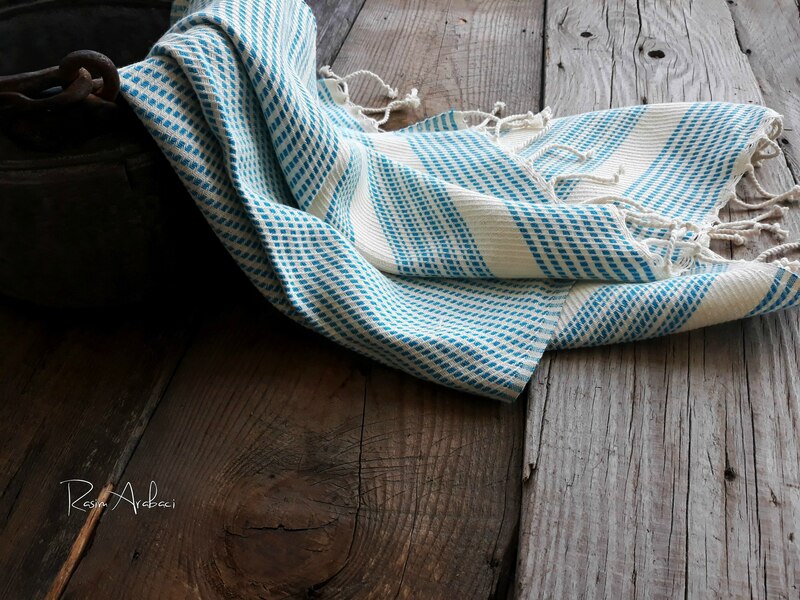 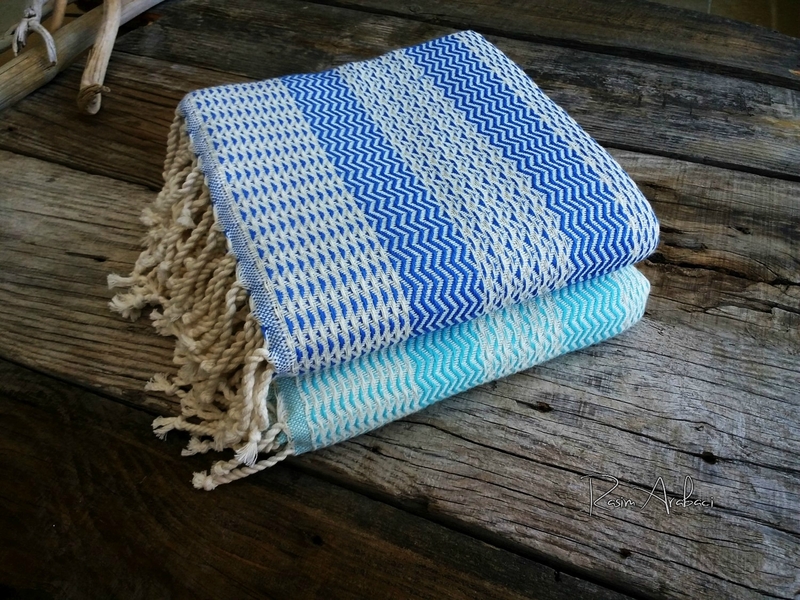 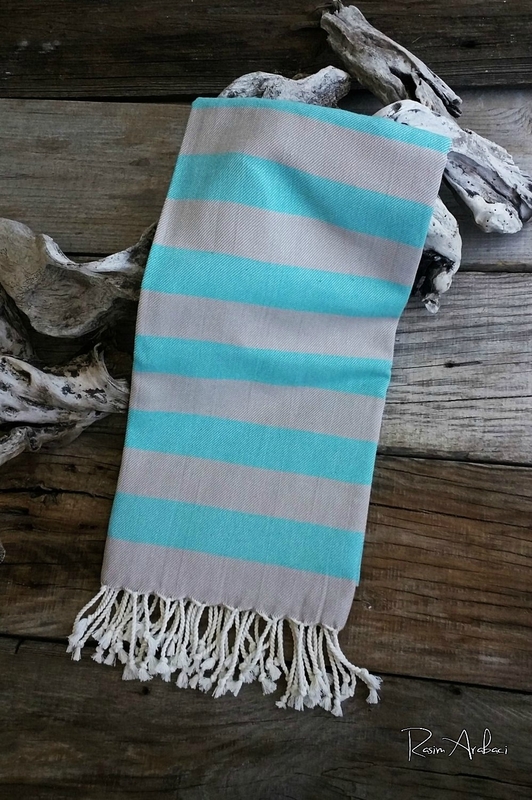 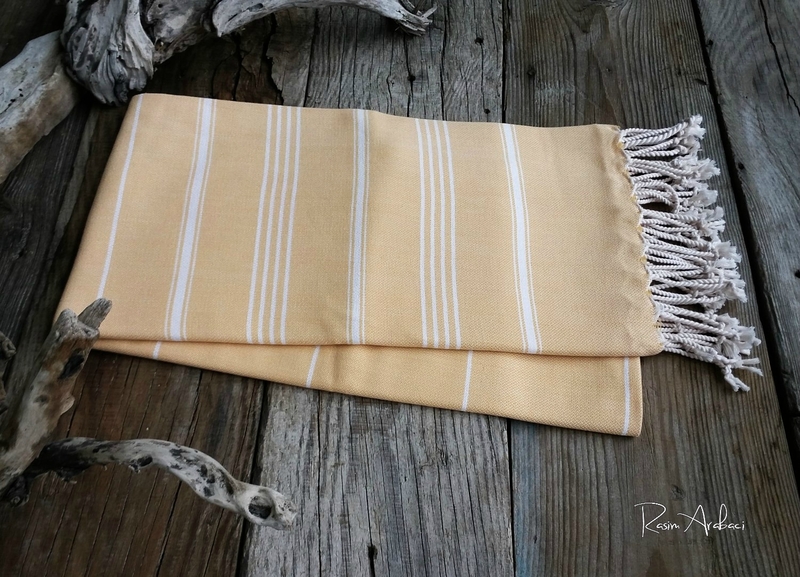 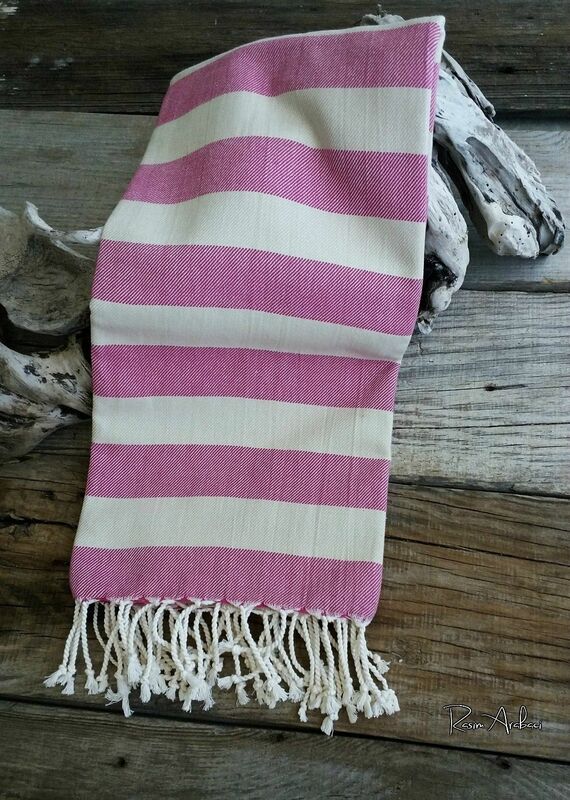 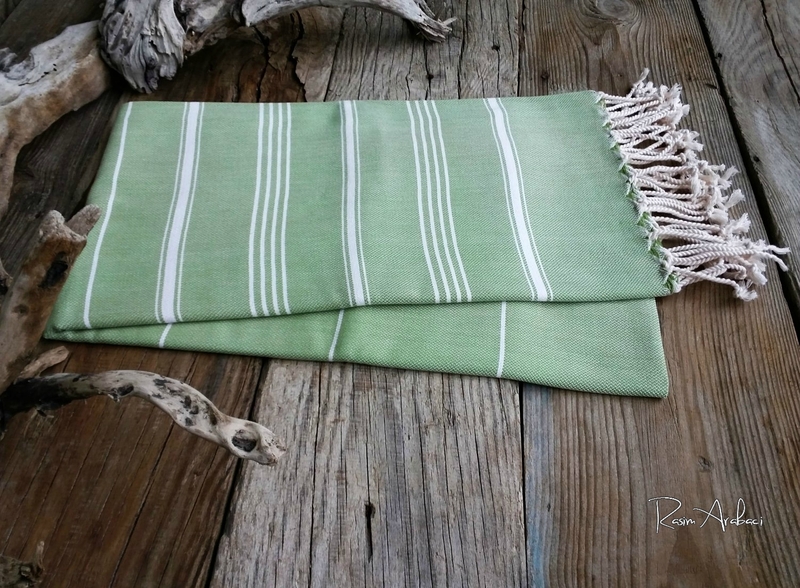 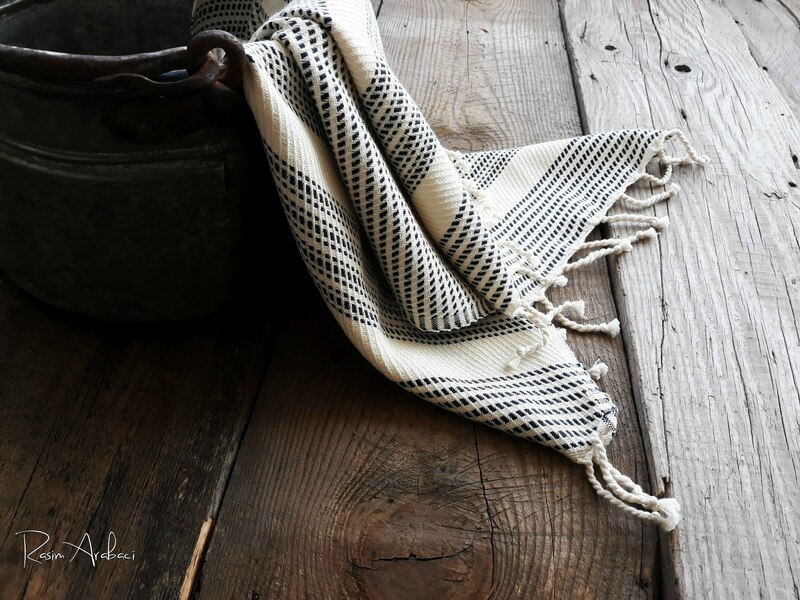 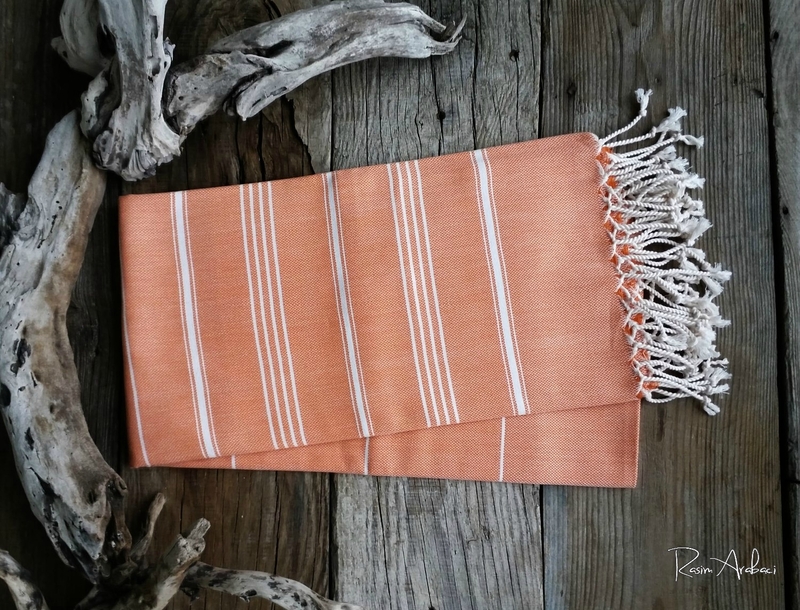 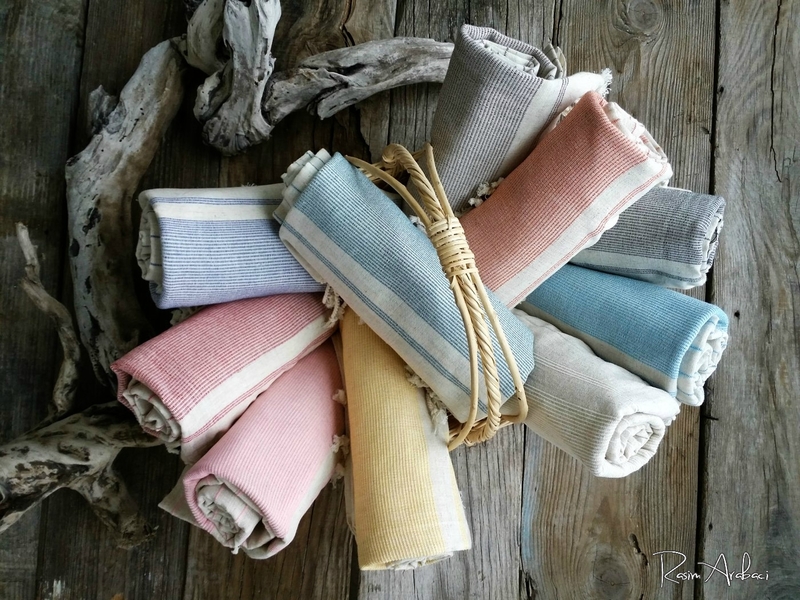 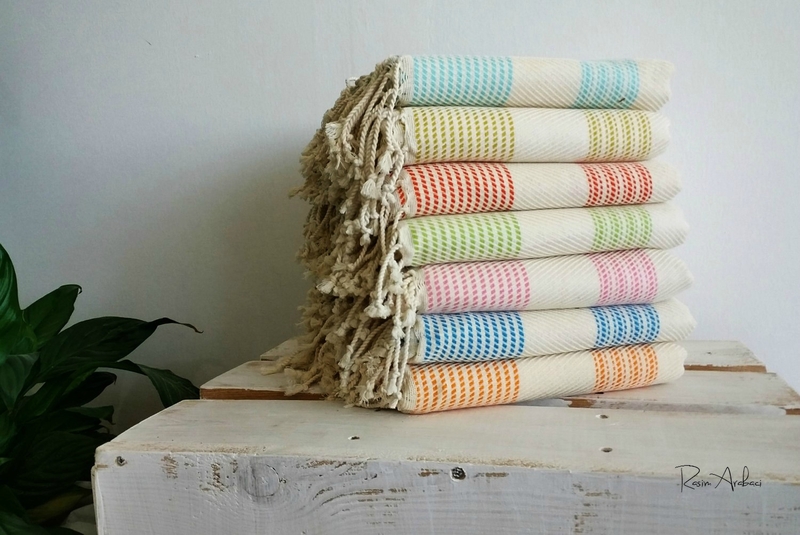 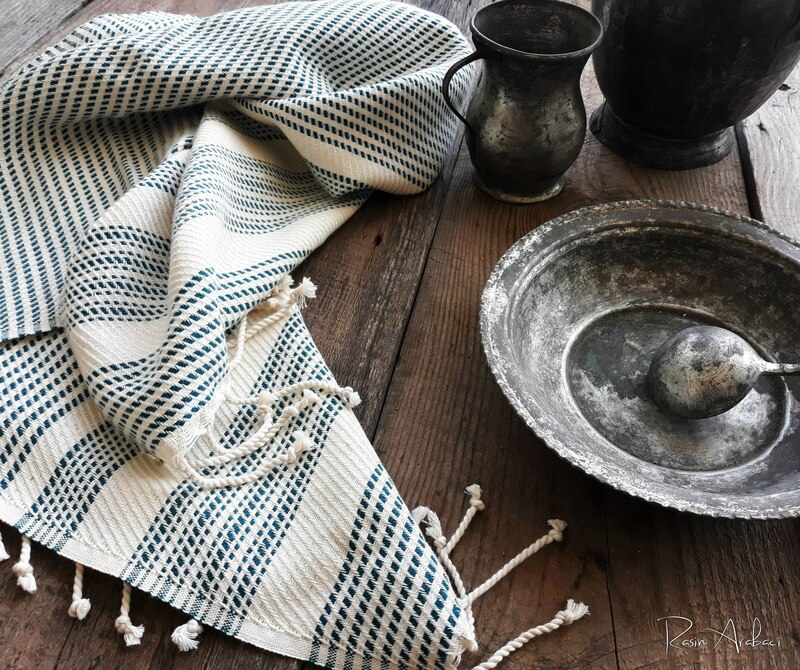 The Peshtemal or Turkish towels traditionally used in the Turkish bath houses are ideal for the beach, as a wrap, for home decor, or for your children. 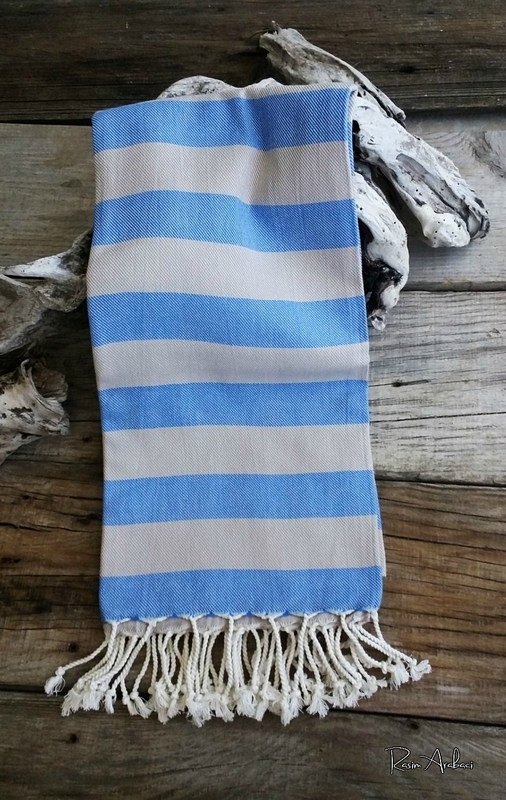 This classic stripe pattern available in a multitude of shades offers a nautical vibe, perfect for vacation or as a timeless addition to your home.